French holiday rentals : Here is the table of our charges (per night) for a minimum of a one week stay, with the date of arrival/leaving being a Saturday. For a date of arrival and/or leaving other than a Saturday, and/or the length of the stay other than a week: contact us. A 30% reservation deposit must be provided. The price of the stay is payable 30 days before arrival. In case of reservation in under 30 days, the stay is payable on reservation. 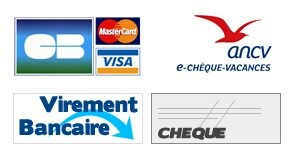 Payments can be done by credit card (VISA/MASTERCARD), cheque in euros from a french bank, bank transfer and ANCV holiday cheques. Upon your arrival a security deposit of 500 € will be required (not cashed in) and given back at the end of your stay. 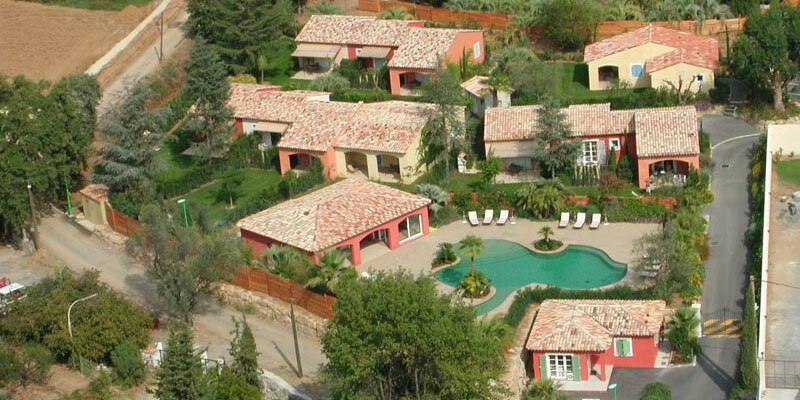 Le Domaine de Respelido offers an open access laundry area equipped with washing machine, clothes dryer and pressing. A cleaning kit is provided upon your arrival. Costs concerning water, electricity, bed-sheets, baby crib and high chair (on request), TV, access to the swimming pool and pool-house (Jacuzzi and sauna), closed car park, high speed internet, via cable and WI-FI, CD/DVD/mp3 player are all included in the price of your stay. Cleaning on departure, the tourist tax and the security deposit of 500 Euros are not be included in the price of your stay. The toilet linen is provided, however do not forget to bring your beach towels with the rest of your luggage. Upon reservation of the villa from the website, a 30% booking deposit will be required plus the balance 30 days before arrival. In the case of reservation under 30 before your stay, the trip is payable in full upon the conclusion of the rental agreement. Cancellation insurance is available for our French holiday rentals, tarifs can be subject to modifications without notice. Animals are not accepted. All properties are subject to a no-smoking policy. The stay from 4:00 pm the day of arrival until 10:00 the morning of the departure; water and electricity, the linen and toilet linen (beach towels not included), free access to the swimming pool and pool-house (spa-sauna) open from april to october, shaded “boules” pit, use of the laundry room ( washing machine, dryer, pressing), baby crib and high chair (on request), the closed car park, high speed internet access via cable and/or wi-fi, flat-screen TV, CD/DVD/MP3 player and a cleaning kit. Tourist tax (0.80 per day per adult), cleaning at the end of your stay: 2 rooms: 50 euros – 3 rooms : 90 euros – cancellation insurance (4% of the total price of your stay) on request.